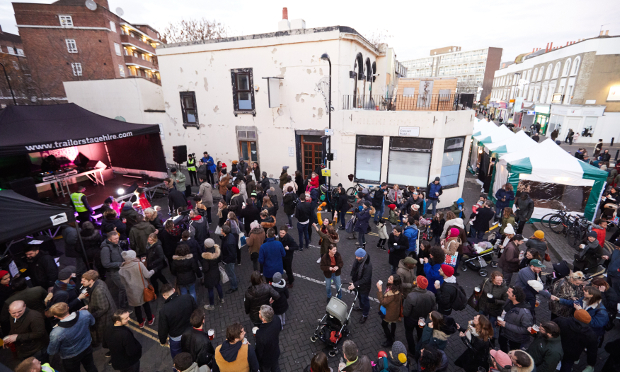 A street market dating back to the 19th century re-launched in style on Saturday (3 December) following a successful crowd-funding campaign. Visitors were entertained by local acts and established artists including headline act Norman Jay, who had people dancing in the street to his mix of funk, house, soul and disco. London mayor Sadiq Khan joined his Hackney counterpart Philip Glanville alongside hundreds of residents at the revived market, which will sell fresh produce, street food, arts and crafts on the first Saturday of every month from 9am until 5pm. It will also boast a Student Makers Market where local designers benefit from free stalls and training, as well as a Teenage Market where young entrepreneurial Hackney residents can book free stalls. Mayor of London Sadiq Khan said: “Markets are about people coming together to have a go at making a business and doing something that creates jobs, growth and prosperity. The plan to relaunch Well Street market was hatched by the Well Street Traders’ and Residents’ Association (WESTRA), which was set up in 2010. It ran a consultation last year to find out what residents wanted from the new market. It then launched a crowdfunding campaign earlier this year, which reached its target – getting over the line with help from Hackney Council. Well Street for decades enjoyed a thriving market, stretching from the top of the street at Morning Lane down to the junction with Valentine Road. But the market itself all but died out in the early 1990s, save for one-off Christmas markets and the fruit and vegetable stall of Simon Maker, who continues to sell on the street. Jack Cohen, founder of the Tesco supermarket chain, famously started out selling produce at Well Street market in 1919. The young entrepreneur had fought in the First World War, and following the Armistice, he spent his de-mob money on surplus NAAFI goods which he decided to try to sell at local markets. The first market he chose was Well Street, where legend has it he made a £1 profit on his first day. 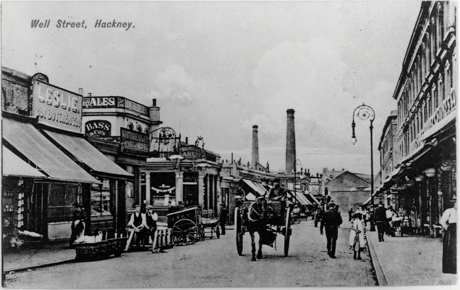 Cohen’s business grew, and Tesco was formed – ‘Tes’ for merchant TE Stockwell who supplied the young trader with tea, and ‘Co’ from his own name. However the supermarket giant, now the third-largest retailer in the world, has in recent years had an arguably less beneficial effect on the street, as its nearby outlets have been credited with stifling local business.